To kick off this year’s Game Developers Conference, Epic Games announced the creation of Epic MegaGrants, a new $100 million commitment to support game developers, enterprise professionals, media and entertainment creators, students, educators, and tool developers worldwide who are doing incredible things with Unreal Engine or improving open-source capabilities for the 3D graphics community. 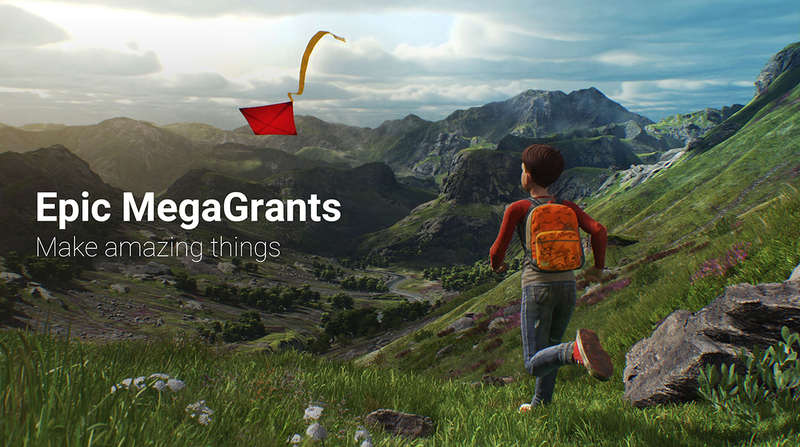 Epic MegaGrants marks an evolution from the earlier Unreal Dev Grants program, a $5 million fund initially launched in 2015, which just awarded its final grants earlier this week. Awards from Epic MegaGrants will range from $5,000 to $500,000 and will cover a wide variety of endeavors to further strengthen creativity and innovation within the 3D community. This includes projects built with Unreal Engine or developers enhancing open-source 3D content creation, whether or not it integrates with or relates to UE4. All Epic MegaGrants recipients will continue to own their IP and will be free to publish however they wish. Submissions will be evaluated, and grants awarded, on a continual rolling basis as funds allow, with no firm deadlines to submit.